This quote by the business magnate Warren Buffett can be easily used to discuss the importance of consistently offer a good service to avoid downfalls and negative reviews because reviews and word-of-mouth have a growing role in the business world. I would rather like to use the quote to start out discussing the Customer Journey, focusing on the first bit: It takes 20 years to build a reputation. Can you imagine how many interactions with a brand your business needs to manage in 20 years to gain trust, be successful and retain customers? Well, this is why you need to map out the pre and post-sale journey your prospect takes to become your customer and to continue using your products or services. Saying you need to map out the customer journey in every touchpoints comes with the same reasons you need Customers Persona Profiling: knowing these journeys will give you better chances to engage with your audience and boost your conversions. 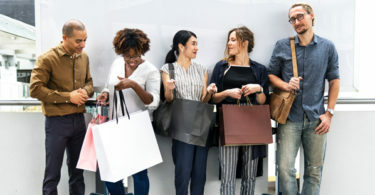 A Customer Journey is the route a prospect could take to complete a desired conversion action eventually becoming a customer. 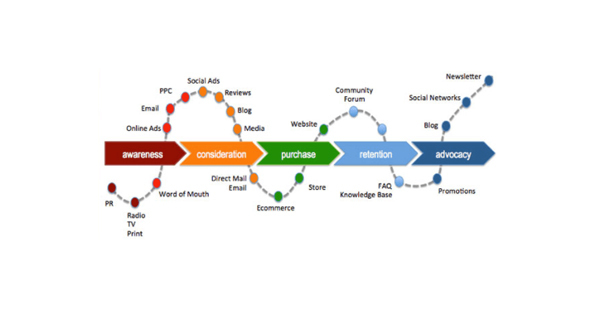 Before we define how the mapping works let’s take a look to the buyer’s journey by Hubspot which can help us to understand the process a potential buyer goes through when leading to a purchase. At the bottom, the figure shows different stages of the purchase funnel along with different statuses of the lead from stranger to customer. 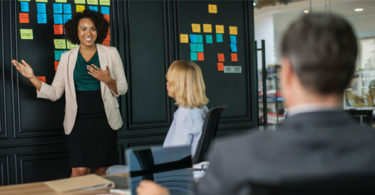 At the top instead, there are the four actions (Identify, Connect, Explore, and Advise) inbound sales teams should implement to support qualified leads into becoming opportunities and eventually customers. Throughout this journey, there will be different touchpoints which can be digital, such as emails, social media or website communications, or offline, such as events, phone calls, meetings. Also, you will need to distinguish between major and minor touchpoints. The time length of the journey will vary greatly depending on the business type. It can take several weeks or even months to complete purchases that involve a lot of money — such as purchasing a house, a car, a Saas software or a long distance holiday, and this means there will be more touchpoints in which you can communicate with your prospects. These journeys will need a lot of information and education. Other journeys will be short and single touch, as it happens for small or impulse purchases. Understand the buyer’s timeline and touchpoints is the main purpose of the Customer Journey Mapping which can be defined as a walk through the Customer Experience, a holistic approach to understanding the flow of experiences a customer has with your business in a specific time, listing what actions he/she is performing both directly interacting with your business or other entities. Mapping works as a tool able to represent a process that cannot be adequately captured with words. You can choose different map styles depending on the specific purpose you have for the map: there is the Day in the Life (of the customer), the Future State and the Service Blueprint, and the Current State Map which is the most widely used one as it allows continuous improvement as you learn. Build Journey Maps starts from collecting data from your prospects and customers and doing research. Personas Profiling, observation, interview and questionnaires are great ways to gather useful information and feedback which will work as a guide to map out what they are thinking and feeling, what drives them to progress through the journey and if they are reaching their goals or not. Also, user testing is a great way to collect useful data. The following video by Ignite Visibility offers a great summary of what is Customer Journey Mapping specific for a website channel, and offers a lot of food for thought that be applied also to other channels and to think about what triggers customer specific routes and what strategies are useful to reach your conversion goals. To summarise, Customer Journey Mapping makes you able to hone your marketing to a specific audience with great benefits for your inbound strategy. Thanks to it you will be able to create the kind of interesting content useful for your customer or he/she is already searching for. And grabbing your prospect attention first is a good strategy to make him/her familiar with your brand and allowing to focus on the purchase in a later stage resulting in an optimised conversion process. 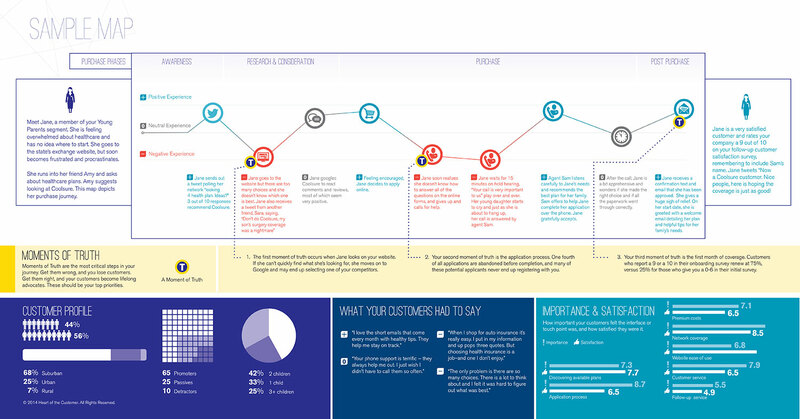 When done properly Customer Journey Mapping is an intensive activity that needs efforts and resources. This doesn’t mean you can start with something not perfect and not sophisticated also because even if you think you have the most perfect journey map in the world you will need to review it again and again. Why? Day by day you will understand more about your customer and it will be natural to improve and make adjustments to the map. You will also be involved in a testing process: you will create hypotheses about new touchpoints which can go well or wrong and you will fix your map accordingly. Final thoughts: who should own Customer Journey Mapping? It depends! Depends on the size of the business, its organisation, and the specific purpose for which the journey map has been produced. So far and based on some market prediction Marketing and CMOs are those in charge of leading the Customer Experience. It’s also true that a growing number of executives are paying great attention to the topic and in some companies is appearing the role of the CCO (Chief Customer Officer). The CCO can lead the Experience but cannot be accountable for every step of the journey which sits above different departments: service, marketing, sales, ops, and product. For this reason, it seems recognised that journey mapping is a task that must be shared across multiple departments and needs contributions from different roles. Especially now that the importance of data and actual behaviours is growing against research-based questioning and anecdotal observation, and data are not easily accessible to all departments. Communication and collaboration across teams become crucial to create thorough maps and manage a successful Customer Experience. Hello! 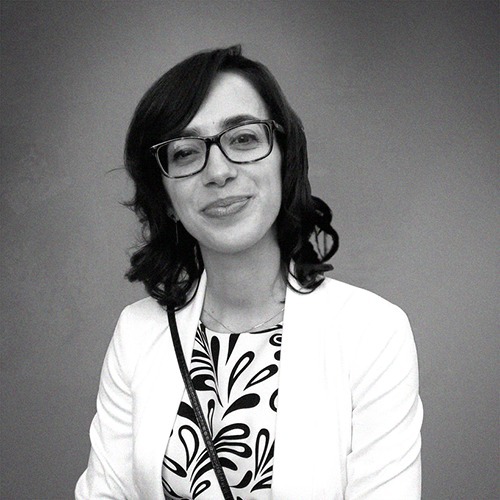 My name is Roberta and I am addicted to great content, strategic thinking and innovation. Discover more about me.